Today’s assignment: add and/or customize two widgets. If you want to write a post, try something shorter-form. Well, a short post certainly isn’t ever a problem. I skipped a couple of days in the 101 course schedule, since I’m so far behind and still playing catch-up, anyway. And they were projects I’d already done or toyed with on my own. Not sure I like all of the clutter that’s building up all around us, or even double sidebars at all. I may dump some things, and/or move to a roomier reading environment, single sidebar. We’ll see. Today’s assignment: create and upload a simple header, background, or both. Already done? Try a custom widget. That extra ‘About’ text box over thar —-> is a custom widget. So, done. Today’s Assignment: publish a post for your dream reader, and include a new-to-you element in it. Today’s assignment: follow five new topics in the Reader and five new blogs. Er..ok, that was easy (already had more than that, both). I tend to let cashiers keep the copper, anyway. Today’s assignment: write the post that was on your mind when you decided to start a blog. Ew. Okay well: I had just finished reading a couple of books that got my brain working along alternate-income-sorta lines. Those “Passions” posts…25 questions to help live a passionate life….The hundred dollar start-up, a couple more. Anyway, I’m not really still pursuing those vague maybes. Nor am I spending much time on Python right now, too distracted by the wonderful combined worlds of those high-intensity time wasters, Facebook and WordPress! Maybe there’s a way to turn spare-time writing into cash, but…no, not really likely to happen, is it? I’m digging this ’cause it’s fun, lemme dig that for a while! Sometimes I feel like the chasing latest bright-and-shiny idea IS my passion, “short attention spans R us”. Done! Tagline’s already changed several times. Not much to write about, though. Not because I must, but because I want the practice. Today’s post is dated April 15 (it’s Nov 7, so I have a lot of catching up to do)! That’s good, it will keep me posting…but the post-calendar is going to be très confused for a good long while! Today’s assignment: write and publish a “who I am and why I’m here” post. I’m Dave, one of the “Park”(s) in ParkInkSpot, and your host for this not-exactly-magical mystery tour. You can find a little bit more about me on the Narcissist pages (“About” and “Hobbyist”), if the ‘who am I’ is interesting to you. Old, married dude; I don’t expect it will be. “Why am I here” is harder. In essence, I don’t much like the misanthropic guy I became. 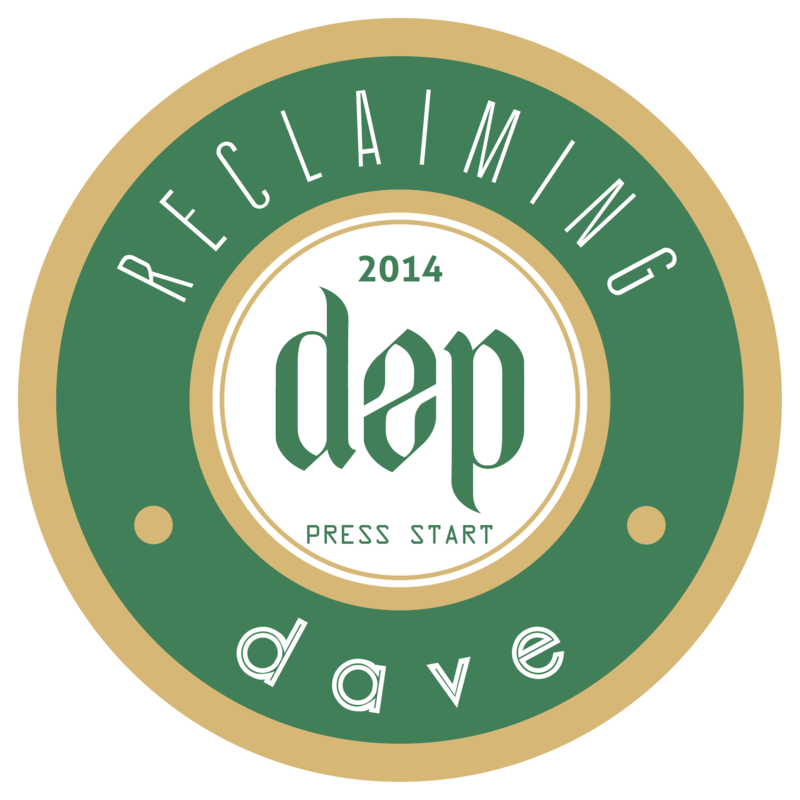 “Reclaiming Dave” is trying to reconnect with people, with fun, with younger me, my relations, friends, society…all kinds of stuff; it’s a pretty vague idea. We’ll be striving for more empathy and less grumpy. And much more contact. That’s why I went full-public instead of some sort of live journal or whatever, to get out there where people are and roll around in ’em. What this blog is “about” is way less clear. Not just about me (I hope!) My original tag-line was ‘a blog in search of a theme”–so maybe we’ll find out what the *theme* of this here blog is together. Or maybe I’ll have a heap of disconnected ramblings. But we won’t be able to say I didn’t give it a shot! Ooh hey, the back-dating thing actually worked. Sweet. And dangerous, in the hands of a politician!